Lollipops Playland is the place to go when it has been raining for days and the kids need to run crazy. As soon as you enter the gates, you're surrounded by colour and fun, but where to begin? 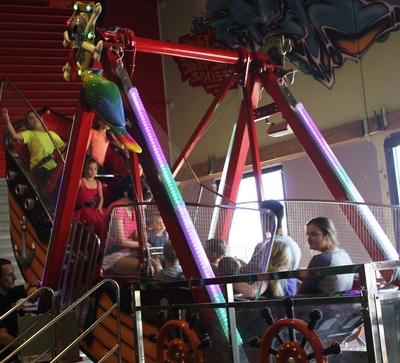 Will you start with a ride on the Pirate Ship? 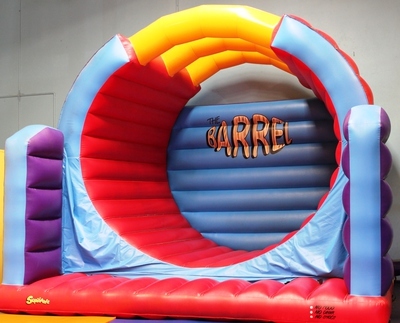 Or maybe The Barrel, a circular jumping castle for big kids? 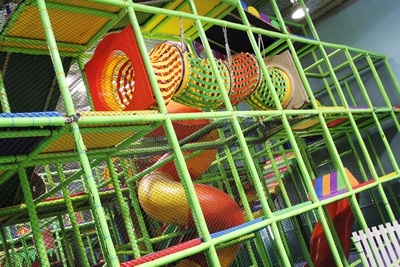 My kids ran straight for the giant play frame and chased each other through four storeys of mazes, super slippery slides and tunnels. Lollipops Playland is fully air conditioned and provides a cool alternative to the summer heatwaves outside. They have kept parents in mind with a healthy cafe, serving good coffee, cakes and lunch snacks. I had a steak sandwich which I highly recommend, and the kids had cheese sandwiches which came with apple juice poppas. There are designated areas for toddlers (Aged 1 - 3 years), with mini slides, a mini jumping castle, mini play frame and even a popular coloured ball pit. 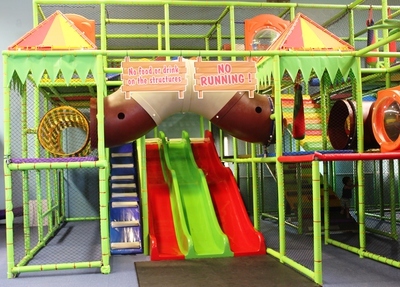 The designated area for older children (aged 4 - 12 years) includes the giant play frame and their own jumping castle. 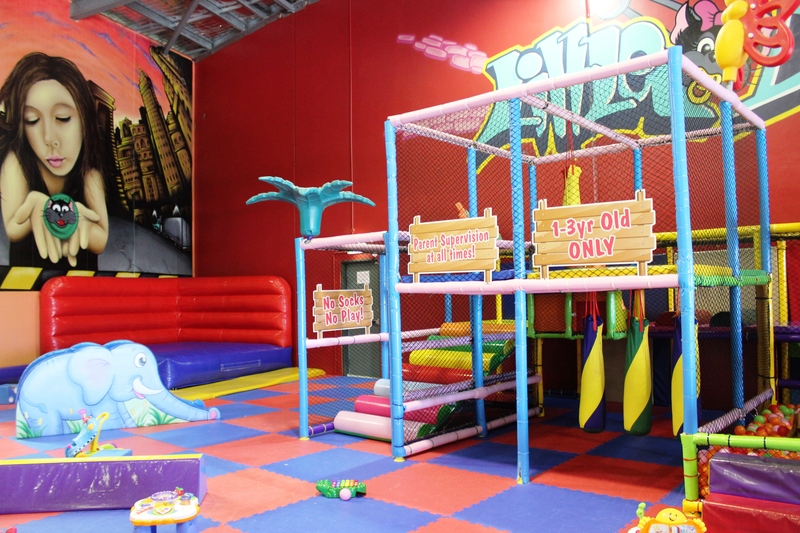 Lollipops Playland would be a fun venue for a party too - with 4 different rooms to choose from and all you have to do is turn up (and pay). They also host a monthly themed Friday night Disco with DJ Brad - upcoming dates are: April 12th - Disney Disco, May 10th - Australiana Disco, June 14th - Prince and Princesses Disco, July 12th - Christmas in July Disco, August 9th - Party Animals Disco, September 13th - Superhero Disco, October 11th - Hawaiian Disco, November 1st -Halloween Disco. My favourite part of the huge indoor play centre was the parent/carer's massage chair ($2 for six minutes) where you can sit and relax while the kids are off playing. Why should they have all the fun? 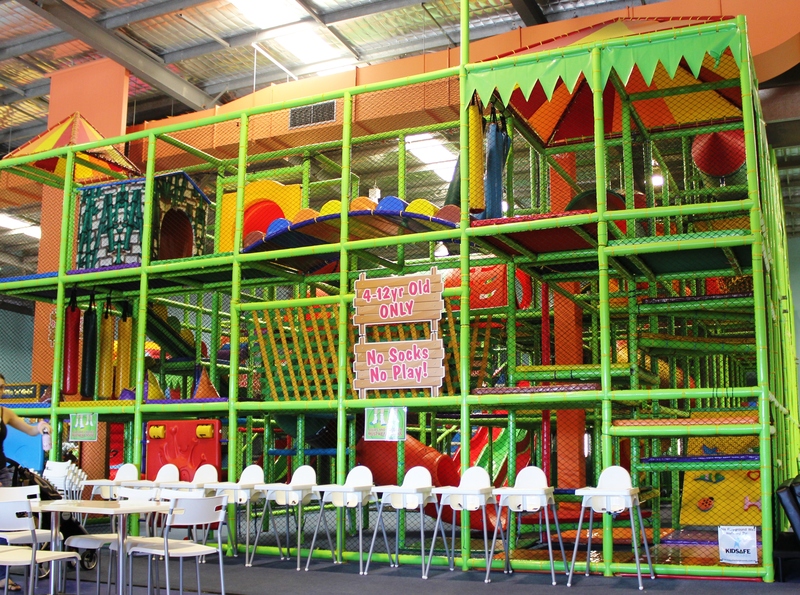 Lollipops Playland also have locations in Brisbane at Cannon Hill, Springfield Lakes and Springwood. Be sure to try them out sometime and don't forget some socks.